The benefits of water fasting for a week are life-changing. It is the absolute best way to detoxify the body. One of the first things you will notice when water fasting for a week is your tongue will turn really white which is normal during a fast. Once your tongue turns pink, then you know your water fast is over. What will happen as you end your fast is true hunger comes about. Hunger does not return as we really have never been allowed to experience it. As humans, we feed appetites, we don’t feed hunger. 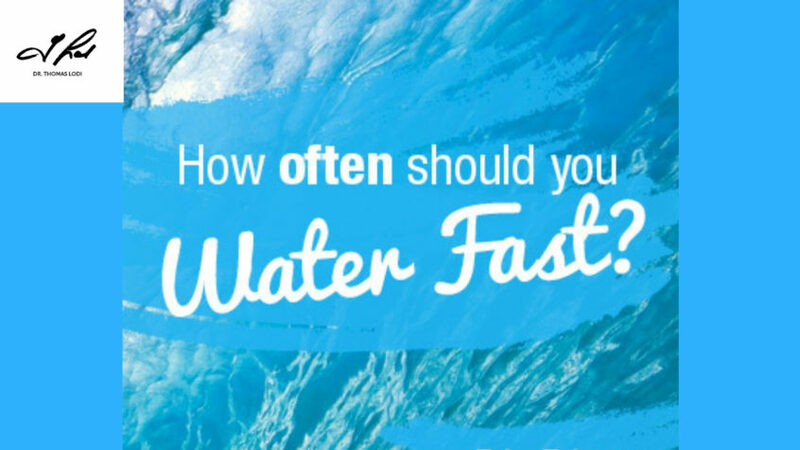 Based on the goals we are wishing to achieve, you can tailor your water fast to match your goals. For example, you may want to do a water fast just for maintenance. A beautiful thing to do if you wish to live long and prosper like our friend Spock is to do 4 water fasts per year. Have each fast be a minimum of one week and a maximum of 2 weeks. Try to match each fast up with the change of the seasons. If you are able to do this consistently, nothing would ever accumulate in your body. You could even get away with eating some not so healthy things in between fasts as long as you stick to water fasts four times a year. It would be a good idea to stay away from this but in theory, you could indulge in food you shouldn’t be eating if you will and get away with it fasting four times a year consistently. Water Fasting for a week four times a year would provide you with good health throughout your life. Weight loss is the most popular reason for fasting. It stands to reason that if you don’t eat, you will lose weight. Let’s peel the onion back and examine how water fasting can help in this regard. The state of ketosis is where the body starts to use the energy from stored fat internally in place of food. Water fasting will get the body into a state of ketosis much faster than dieting. When you stop eating, the body has no choice but to burn stored fat cells for energy. There is nothing on this planet that can stop or even reverse the aging process. And, as we see every day there are certain individuals that will age more gracefully than most. Certain studies involving animals have shown that intermittent fasting has the potential to extend a person’s lifespan by up to eighty percent over control groups. For us humans, fasting reduces oxidative damage as well as inflammation. Autophagy is the human body’s natural process when it comes to having unnecessary or dysfunctional components recycled. This natural process is forced into an autophagic state from water fasting. When the body is taking in dramatically fewer calories, the body becomes more selective with the cells that it protects. Ultimately, what this means is water fasting will encourage the body’s natural mechanisms for healing so that it can recycle tissues that can be saved or eliminate damaged tissue that is beyond repair. This process has been shown to have a positive outcome on serious health conditions such as cancer.